We love honey in this house and we have grown accustomed to spreading some on toast with butter at least three times a week for breakfast. But as you may know, not all honey is the real thing. I am picky when it comes to buying honey. 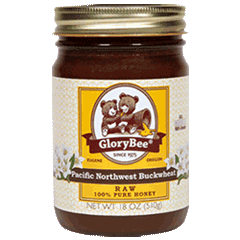 Recently I stumbled on GloryBee Foods and I received a jar of their Raw Pacific Northwest Buckwheat Honey to try. They are not just about honey, they also sell other natural sweeteners, spices, dried fruits, nuts, and oils to name a few. This honey definitely passed the test of my husband's discerning taste! I equally enjoyed it, the rich, robust flavor, creamy thick consistency, and dark caramel color. My toddler? Not so much. The taste was a little too much for her since it didn't fit her standard definition of 'honey' that she is used to (usually clover honey). It's so cute when she covers her nose from the scent the moment we open the jar! This honey is perfect for consuming as is, not something I would use for baking. It is great for cold season and sore throats. This honey is considered 'raw', though it is still heated to a low 115 degrees. At this temperature it retains the natural pollens and enzymes often lost during processing. It is not filtered and is considered to retain its medicinal properties. An 18 oz jar of the Pacific Northwest Buckwheat Honey costs $12.95, most other varieties such as clover or wildflower are $9.95 each. 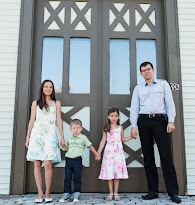 GloryBee was started in 1975 on a foundation of a belief in God and educating people about healthy living. Today you can find GloryBee offering everything from beekeeping supplies to natural craft supplies and natural supplements. This is a fully sustainable business, local to Oregon. You can even visit their factory store in Eugene!